Time flies when you’re having fun and taking the lead in the Emergency Medicine revenue cycle management industry. The founding partners at DuvaSawko have been cornerstones in the Emergency Medicine industry for over 2 decades, and there’s no stopping them any time soon. January 19, 2018 marks the 20 year anniversary of when Dr. Charles “Chuck” Duva and Dr. William “Bill” Sawko launched their industry powerhouse in Ormond Beach, FL. Back then, the rationale was simple, and it still remains true today: Create a company that delivers the highest level of reimbursement from Billing And Coding with a process designed exclusively for the Emergency Medicine specialty. To say the pair succeeded in spectacular fashion is an understatement! There was a hole in the industry that the pair identified early on when they were at the helm of their own Emergency Medicine group. 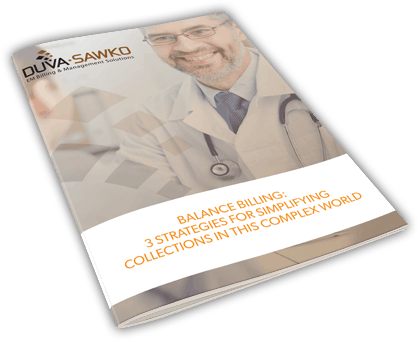 “We had outsourced our billing to 3 different companies, each one worse than the other…it got to the point where they almost put us out of business,” said Dr. Chuck Duva, co-founder and CEO of DuvaSawko in a recent interview. They put their heads together and developed the software, process and team necessary to deliver one of the most effective revenue cycle solutions designed exclusively for Emergency Departments. Dr. Duva went on to say, “Nothing can compare to developing a process that works, and continuously improving on it…it’s the reason our clients love us!” There is something to be said for the exclusivity of only doing billing for a specific industry and the DuvaSawko brand has done that exceptionally well over the past two decades.